Can a custom breadboard be made for Fritzing. I purchased a large breadboard and it is way bigger than any breadboard that can be picked in Fritzing. I would add a photo of the breadboard I have but can’t seem to find a way to do that. It is possible if not easy (breadboards are special in the code). You can upload an image with the sevent icon from the left in the reply menu. edit: You might also have a look at this post as I doubt there are many odd versions of breadboards around and I made one for someone with an oversized breadboard some time back. Thanks for the quick response vanepp. 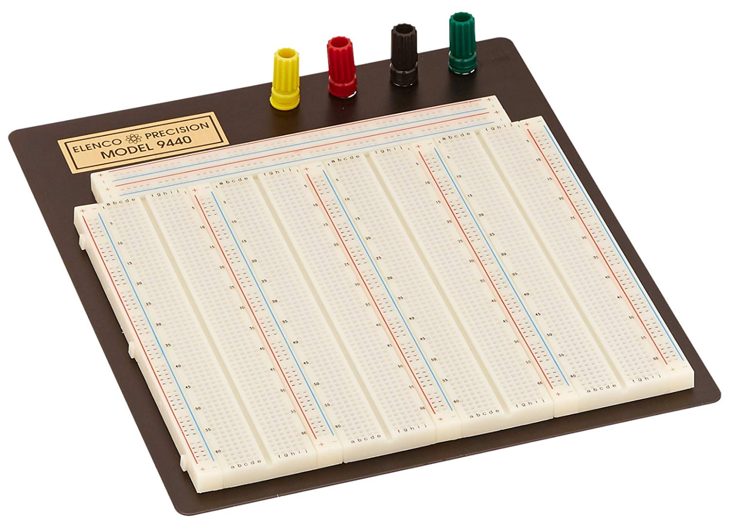 Here is the breadboard I just purchased. So far looks pretty standard. This appears to be a standard full+ breadboard. You can duplicate them to make the three across. The only missing part is the top power strip.Is it a continuous strip (the last one I did is a cut down version, which only goes for half a breadboard width)? That is easy enough to extract from a full breadboard.